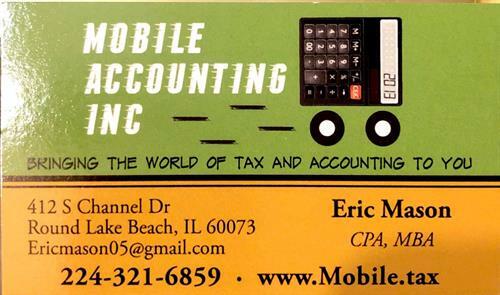 - Providing bookkeeping, payroll and tax services throughout the northern chicago area. I can come to your home or place of business to help with all of your accounting needs. When the numbers you have to account for keep you from doing the job you love to do call me.